One of the great joys of education is we get to start anew each year. Each year, we welcome a new class of fresh-faced freshmen and a growing number of transfer students to Saint Mary. This year, we welcomed the largest class in recent history. The day the students arrive is a culmination to the summer of preparation. 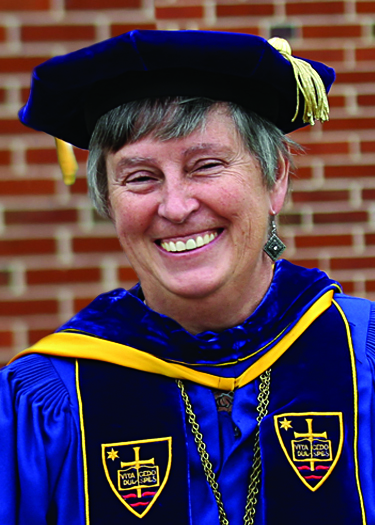 This summer, we focused on Maria Hall—my home for my four years at Saint Mary. After a half of a century of students, it was showing its age. We replaced the entire HVAC system, and installed new shower heads, faucets, and a new light in the middle of the room. We also added 96 badly needed parking stalls near the softball and baseball fields. Parking is the happy challenge of a growing campus! The biology program has so many students that they were out of lab and classroom space. This summer, we combined two smaller spaces to create one state-of-the-art lab/classroom combination. To ensure our students have hands-on research, we created a separate space just for student research. Our next major project is to transform our library into the Archbishop James Keleher Learning Commons, in honor of our dear friend and supporter, Arch Jim. Archbishop Keleher is a longtime supporter of Saint Mary and of Catholic education. He understands the transformative value of a Catholic liberal arts education. The Learning Commons will provide Saint Mary students and the community with a state-of-the-art learning environment. From research to collaborative projects to lectures and celebrations, the Keleher Learning Commons will be the place to be—the heartbeat of the campus. 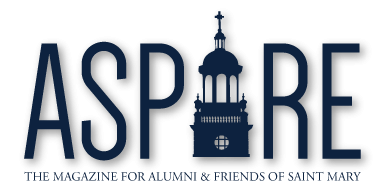 I see the spirit of our founders alive every day on campus and every day, I’m reminded how blessed we are to be forever Saint Marians. We continue to thrive and grow, thanks to all of you listed in the Honor Roll of Donors. Your generosity is a testament to your support of our mission to educate, and most importantly, your belief in our students and their dreams.